Nancy Alker Craigmyle, Retired Researcher, has been recognized by Marquis Who’s Who Top Health Care Providers for dedication, achievements, and leadership in scientific research. With more than four decades of experience as a health professional, Ms. Craigmyle is a widely regarded expert in meditation, salience detecting, anterior cingulate, locus coeruleus and norepinephrine. She is perhaps best noted for her contributions to the academic world, which includes authoring a recent paper examining mediation and the physiological effects of meditation. 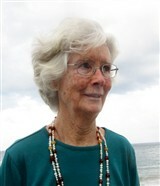 Although she is now retired, Ms. Craigmyle takes great pride in maintaining involvement with the scientific community. In recognition of her contributions to the field of meditative research and development, Ms. Craigmyle was selected for inclusion in the 70th edition of Who’s Who in America, which was published in 2016. She has also been featured in Who’s Who of Professional Women, Strathmore Who’s Who Worldwide and Continental Who’s Who, among other honors publications. Most recently, Ms. Craigmyle was selected to receive a Worldwide Lifetime Achievement Award in 2017. Throughout the course of her career, Ms. Craigmyle has served as a research assistant with a wide range of institutions, including the Department of Physiological Psychology at Rockefeller University and Neuroscience Lab at Veterans Administration Hospital. She holds a Bachelor of Arts in psychology, which she received from Columbia University in 1974. Early in her career, Ms. Craigmyle completed doctoral coursework through the Neuroscience Lab at Veterans Administration Hospital. She also progressed toward a graduate degree at the University of South Carolina in 1984.